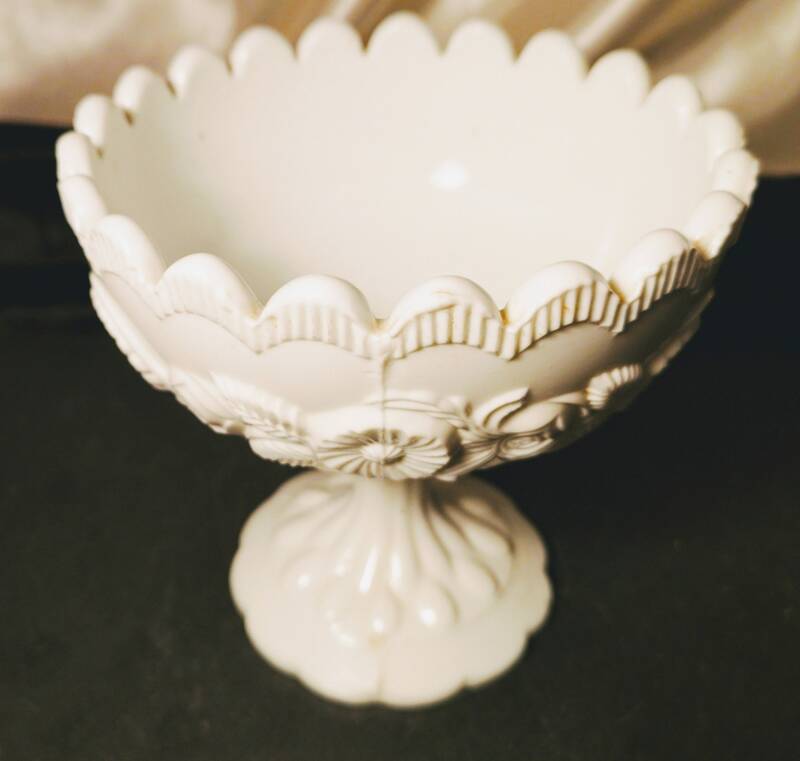 A very pretty early Victorian sugar bowl. 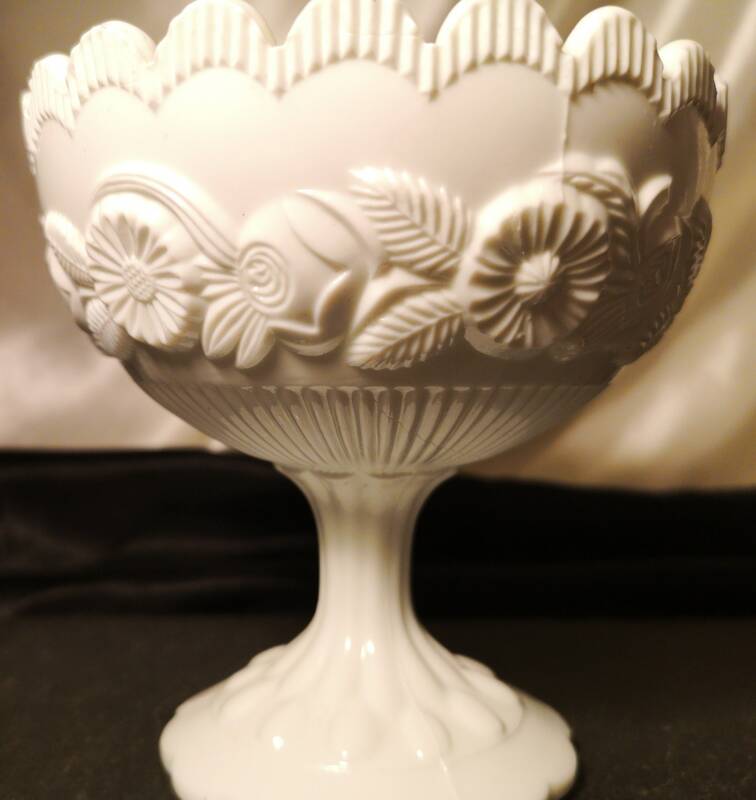 It is a crisp white, opaque milk glass with finely molded and engraved floral design and a scalloped edge. 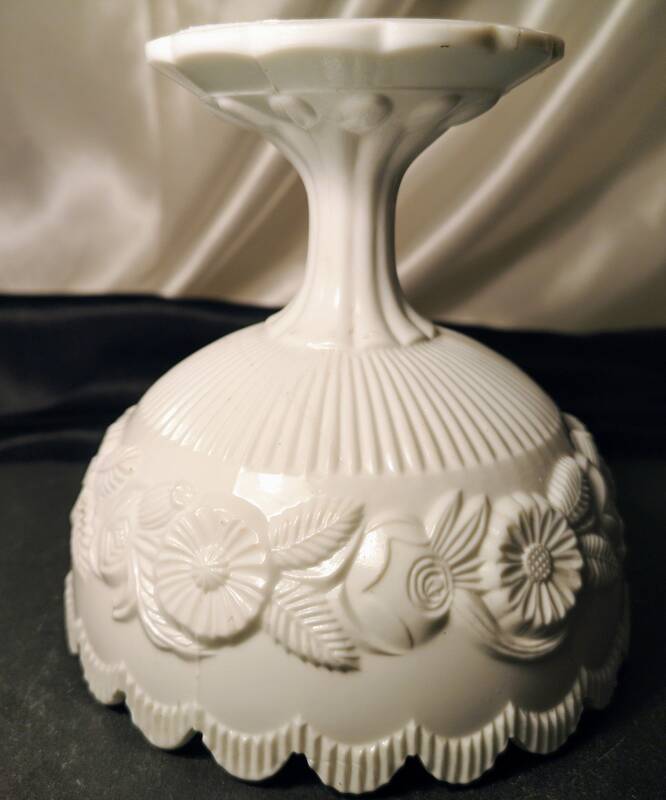 It is a pedestal bowl standing on a single pedestal foot. 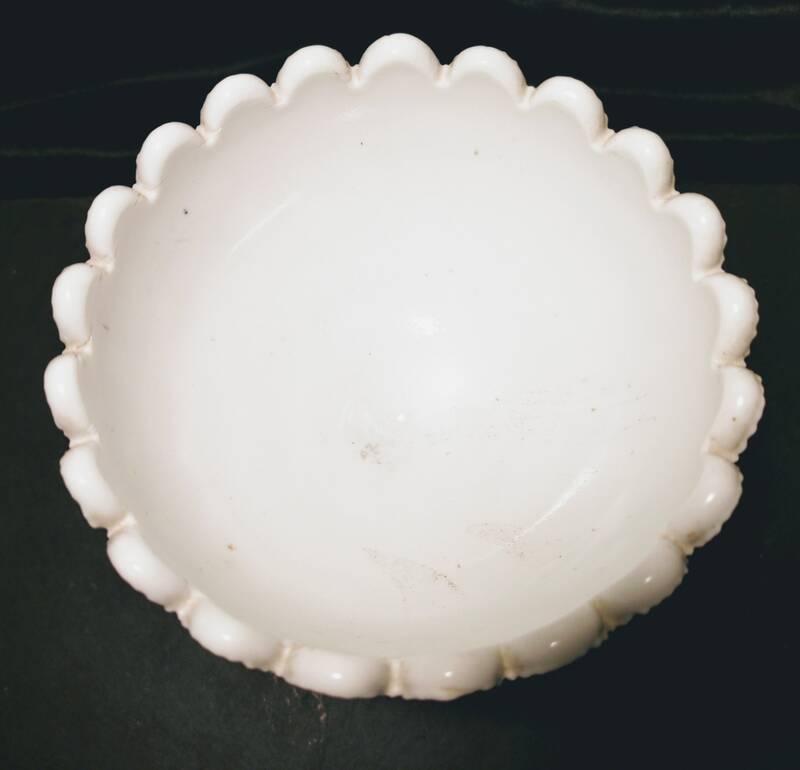 The mold lines can be clearly seen where the molded glass was formed a d pressed together to form the bowl. 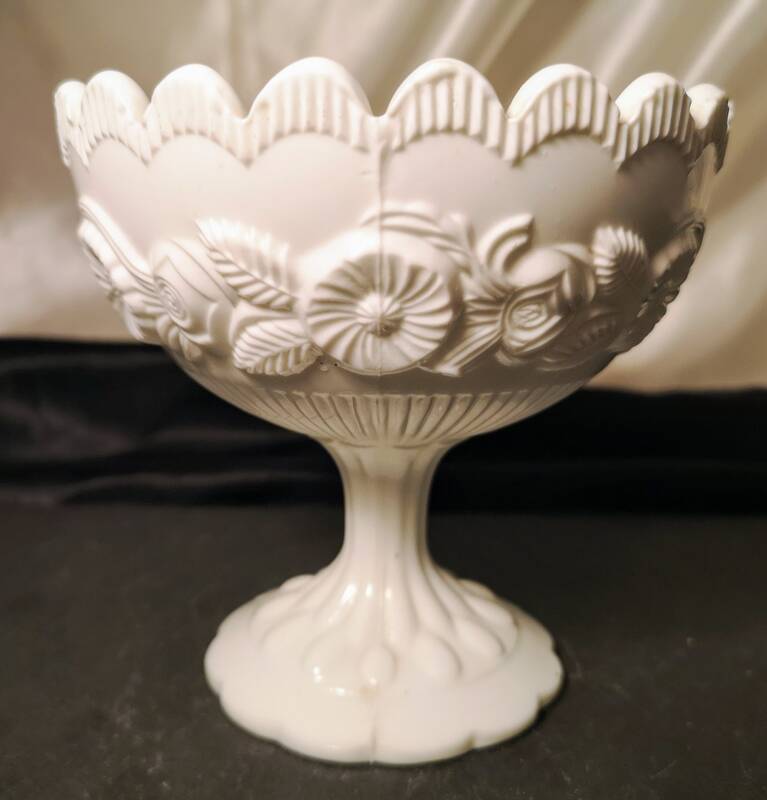 A lovely example, perfect for the country kitchen or cottage chic decor. 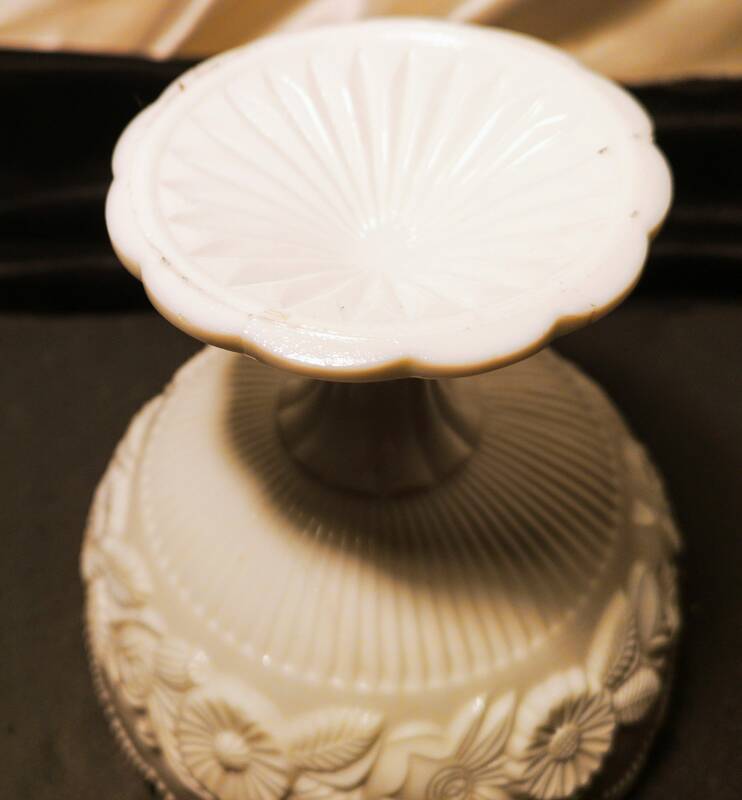 Good condition for the age, no chips or cracks, some surface scratches and marks commensurate with age but not really noticeable. 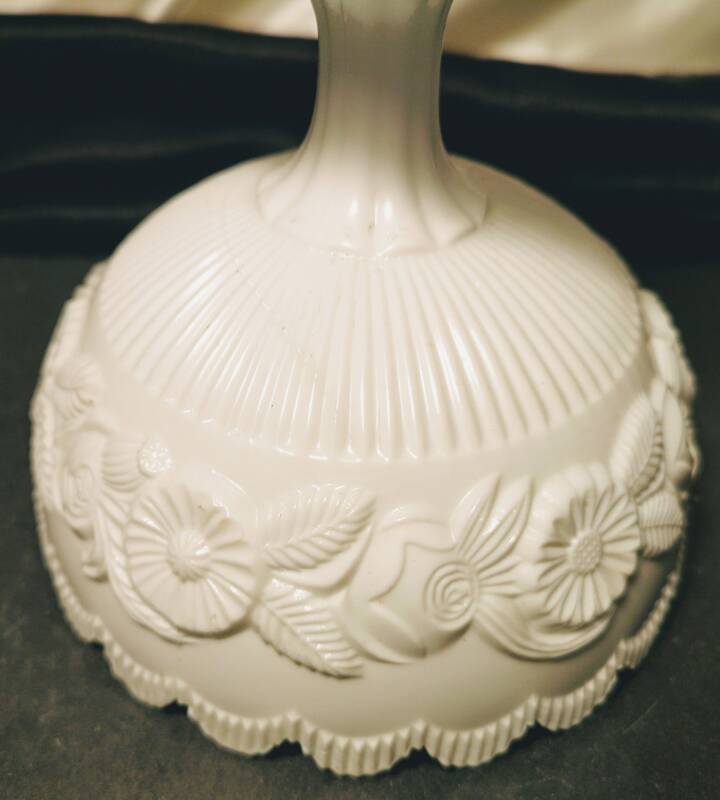 Approx 5" height and 5" diameter across the top.